Our focus on OHSAS in the organization to mitigate operational risks and impact is an example of this approach. We continue to promote safety awareness in our factories and pursue the goal of zero-accidents so that occupational injuries can be reduced to an absolute minimum. Workforce shall be protected from being hurt or getting sick from every kind of working. Using Hierarchy of control methods to reduce, eliminate and caution the significant hazard and the applicable risk associated with it. Good health and hygiene of the employees shall be promoted. Apart from the implementation of health and safety management at each factory, Delta has also retained professional OHS consultants to carry out regular diagnoses to identify and prevent potential risks. The consultants provide recommendations on Delta’s existing OHS organization in response to changes in organization and production activities. This helps us make adjustments to ensure that the relevant departments have enough personnel to safeguard factory employees and company assets. Delta factory production lines are frequently adjusted to meet demand, or spaces are rearranged to optimize utilization. We regularly reassess health & safety risks as well as conduct work environment quality testing to safeguard operators’ health by ensuring that concentrations of hazardous substances do not exist beyond statutory limits. 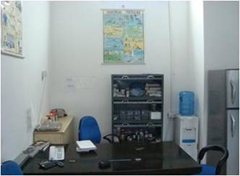 ECO fresh carbon dioxide sensors have been installed for monitoring fresh air to optimize comfort and energy . Air flow transmitters have been installed inside all the fresh air ducts to maintain the indoor air quality as the increase in the Carbon dioxide concentration may leads to drowsiness, discomfort and inhalation problem. 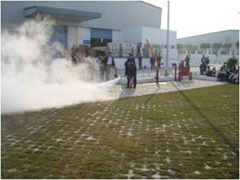 For man-made or natural emergencies such as fires, flooding, leaks, poisoning, mechanical injury, infectious diseases, earthquakes, lightning strikes and electric shocks, our factories have defined their own response plans for identification, handling and response to environmental health & safety emergencies, as well as post-incident feedback & review. We regularly conduct fire and emergency drills so if an accident does occur, its impact on employee health and safety as well as company property is minimized. “Zero Accidents” is Delta’s goal for occupational health and safety. The number of workers injured at factory sites in case of major injury causing 48 hours a person to be absent is reported to the government as required by laws of factory in India and internal records are maintained at our respective sites. When an occupational accident occurs, Director quality request the involved unit to analyze the cause of the accident and propose corrective actions. 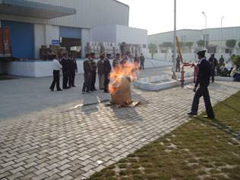 They also alert the relevant personnel and put the necessary precautions into place. In addition, we regularly analyze our occupational accident statistics which are in the form accident pyramid and strengthen OHS inspections to prevent recurrences. Delta believes that only employees in good mental and physical health can approach their work in a positive manner and deliver optimum performance. In addition to regular employee health examinations, we also require new employees at main manufacturing sites to undergo a health check. General health check up of all employees to be conducted once a year. Special operators who work in areas such as chemical operations, soldering operations, logistics processes, machine shops quality, must also undergo checks every six months to ensure that they are in good health. Catering contractors must also take health checks when entering factory facilities. Besides our employees’ physical health, we are also concerned with their mental health. Delta has provided a variety of facilities and methods to help relieve employee stress. 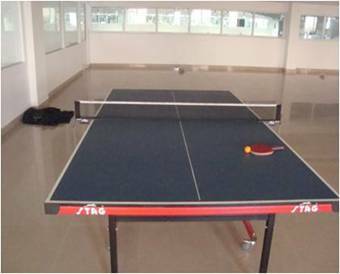 At our factory have access to permanently-staffed medical clinics as well as badminton and volleyball court, table tennis room, canteens,. 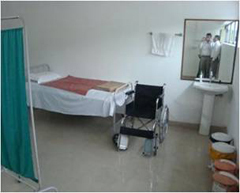 These facilities are intended to offer employees places to relax outside of work or to further enrich themselves. Professional/Functional Training: Marketing/Sales, Development & Engineering, Finance/Administration, Logistics/Purchasing, IT etc.